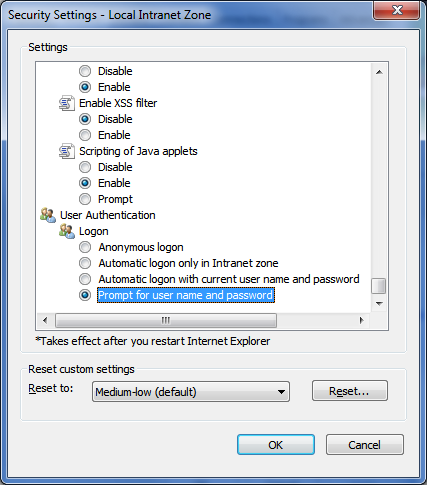 Automatic Logon – by default, using Integrated Windows Authentication, IE will pass the credentials directly. As a developer or administrator, you might not want that, especially if you need to login with different accounts. 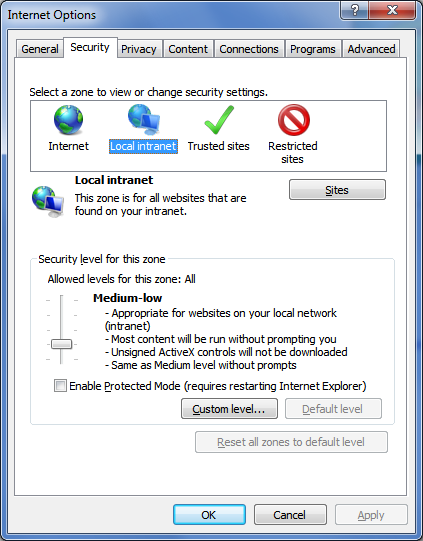 Now every time when you browse to ANY site in this zone that requires authentication, you will be prompted to login. Another good practice is to add the site to the Trusted Sites. This will, by default, allow all pop-ups.